Oh the irony! I got up yesterday morning planning to write a version of the post you read now, choosing instead to look back at readers’ life-changing tech. The trigger: Motorola starting the New Year with a 64GB Moto X model and my previous day’s personal tech devices wrap-up, which got me to thinking abut smartphone differentiation. Processing power, graphics chips, and the like are passé. Who really cares but a minority of gadget geeks? But storage matters to everyone, and Apple gets it—as iPhone 6 and 6 Plus capacities demonstrate. My feeds are full of reports this morning about a lawsuit filed against Apple alleging that iOS 8 consumes too much storage and, as such, the company misrepresents the amount available. I would have looked so smart writing yesterday about how much Apple gives that competitors don’t (well, to anyone who like me missed the first reports two days ago). That’s okay, now my analysis has a news hook. The point, for people reading no more than two paragraphs of any story: iPhone 6 capacities outclass competitors, and the problem of operating systems consuming much of available storage isn’t new or exclusive to the fruit-logo company. Just look to Google and Microsoft, for example. To compound the harm to consumers, after Defendant provides materially less than the advertised capacity on the Devices, Defendant aggressively markets a monthly-fee- based storage system called iCloud. Using these sharp business tactics, Defendant gives less storage capacity than advertised, only to offer to sell that capacity in a desperate moment, e.g., when a consumer is trying to record or take photos at a child or grandchild’s recital, basketball game or wedding. If Apple sought such bait-and-switch tactics, why is iCloud storage so cheap and why did the company so greatly increase capacities with the newest iPhones—beyond what competitors offer? Five gigabytes of iCloud storage is free to iOS users, while the next available option, 20GB, is 99 cents a month, or more than the device’s 16GB capacity. You can’t buy a Tall Starbucks for so little. Apple is in the business of benefits, which iCloud’s design—syncing content across devices—most certainly delivers. The free storage also exceeds what the lawsuit claims is unavailable to 16GB iOS devices users, for example 3.3GB on iPhone 6 Plus or 2.9GB on iPad Air. Consider what competitors offer—or don’t. There was a big brouhaha three years ago about Microsoft Surface RT available storage. On 32GB models, 50 percent of capacity was unavailable to users, and 28 percent on 64GB RT. In a study conducted by Which? magazine one year ago, iPhone 5c available storage exceeded all major smartphone competitors, with the 5s coming close behind second-ranked Google Nexus 5. Consider Samsung’s flagship Galaxy S5, which you can buy today instead of iPhone 6: On the 16GB model, about one-third is unavailable to the user. So why single out Apple? Money. The fruit-logo company is seemingly an easy target. Now we come to what I originally thought to post yesterday and never got round to (Hey, it was New Year’s). 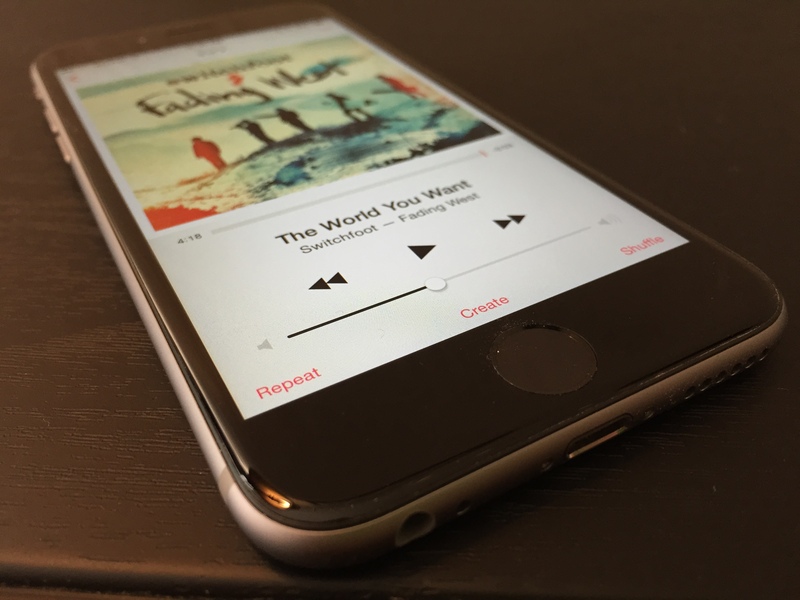 When writing on December 31 about the tech that mattered to me in 2014, I listed iPhone 6. Mine is the 128GB model. Got to thinking: One of the major reasons I chose that model is storage. Not the microprocessor or graphics chip, and most certainly not the display, which resolution is less than competiting devices in the same screen-size class. The newest iPhones offer more by default. Yes, 16GB is still entry, but the next model is 64GB instead of 32GB and the high-end 128GB rather than previous 64GB. Who offers more? No one among the major manufacturers. Galaxy S5 tops out at 32GB, as does Nexus 5, and Nokia Lumia 930. Moto X Pure Edition is available in 64GB variant. Ha! Sony’s flagship Xperia Z3 maxes out at 16GB, with about 30 percent capacity unavailable to the user. Apple stands apart by offering a smartphone with 128GB capacity, and the 64GB is damn attractive at $299 on contract. Why give users all that extra? Because corporate Apple believes the post-PC mantra spouted by co-founder Steve Jobs. Then there are user demographics, where studies by Pew and other data crunchers show Millennials to be huge mobile device consumers; they also use Apple products. For anyone using iPhone 6 to shoot photos or capture videos, say, and editing them on the device, storage will matter over time. For Instagrammers and the selfie-set, my 20 year-old daughter among them, thousands of photos fill capacity fast. Exactly where is the “consumer harm” offering comparably more available storage than competitors and higher-capacity options? The metric applies to tablets, too, where iPad capacities also outclass competing devices. The point this post would have made if written without the lawsuit as unexpected context: By focusing on storage capacity, Apple delivers from a margins and cost-of-manufacturing perspective valuable benefit to itself and its customers. Storage is an easy differentiator when competitors choose to be stingy, and maybe they must when primping other features that cost more to produce but give users less value. I’ll take 128GB storage over 1080p screen any day. The lawsuit is right in asserting mobile device users will want more storage. Strange then that Apple, which gives more, is accused of giving less.